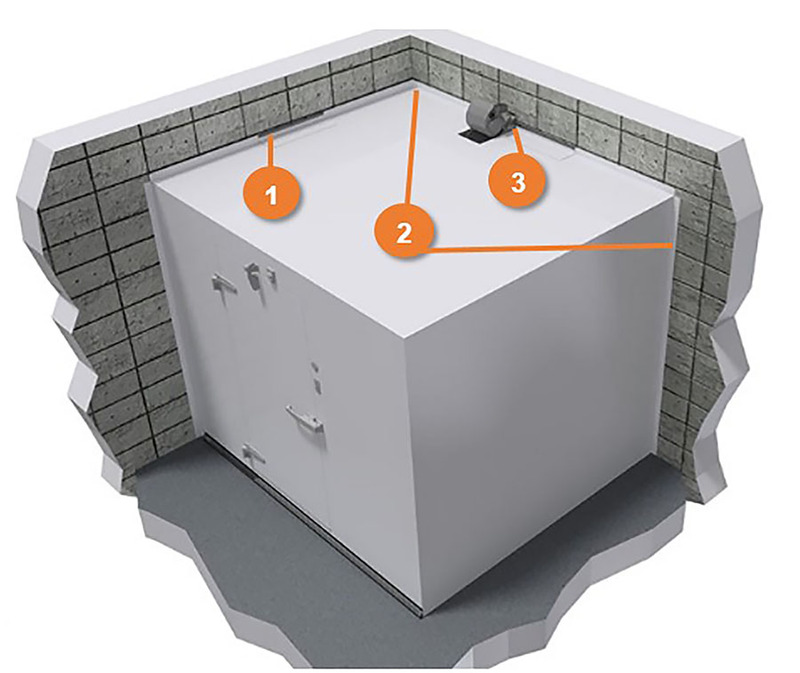 NovaFlo is the best solution on the market to avoid risks of condensation that could lead to the formation of mold in the restricted space between the cold room and the building’s drywall. 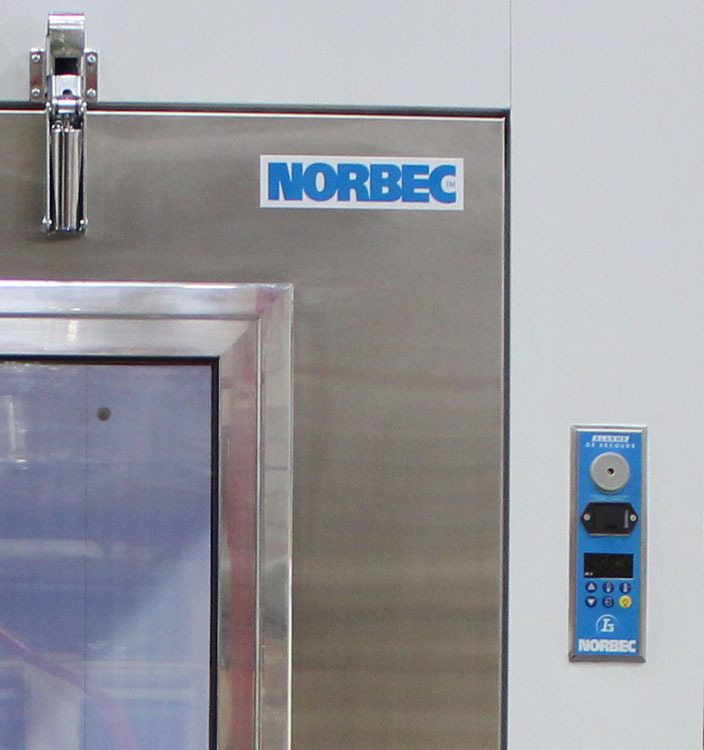 Our product development team worked with certain Norbec customers to develop NovaFlo, a forced ventilation system around the cold room. Before being tested in real situations, this solution was subjected to several rounds of AEF computer simulations in order to ensure the correct dimensioning of the components. The cold, which over time succeeded in getting through the insulated floor of a cold room caused the formation of ice between the concrete slab and the insulated floor. This ice formation caused deformation at the floor level. The shims allow the floor to be raised and allow convection air to circulate around the chamber, limiting the accumulation of condensation. The shim system is now part of the Norbec standard offering. Although shims are effective in most situations, mold problems on drywall are still possible. 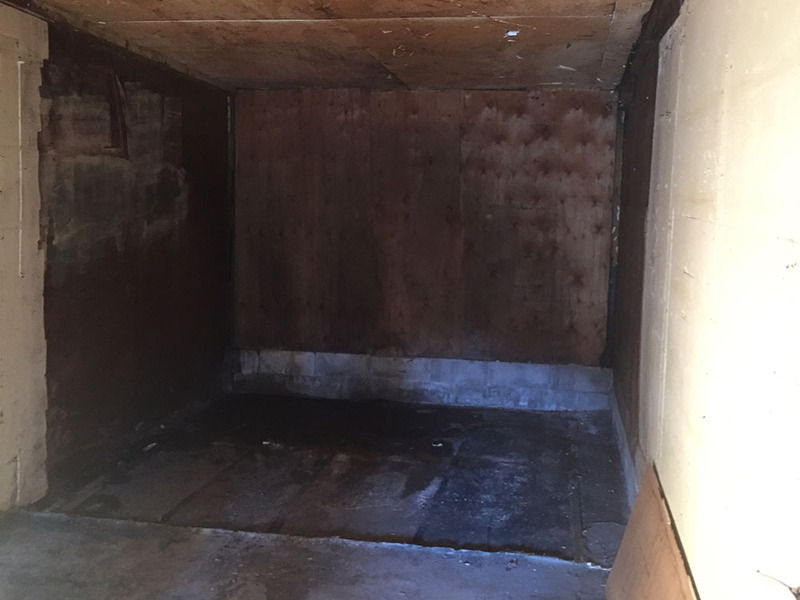 Customers and installers tell us about mold problems on drywall when dismantling cold rooms. Norbec assesses where the risks are higher by using airflow and heat transfer analysis methods. 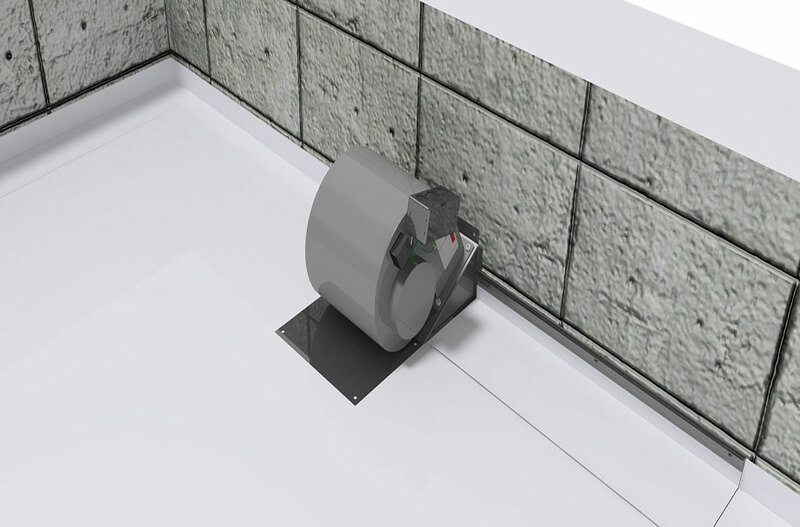 A turnkey solution including a properly sized ventilator system is developed. In order to ensure the correct operation of its system, Norbec offers the option of integrating the NovaFlo with its I3 module, which will emit an alarm signal when the fans are switched off. 1 Optional access hatches are placed on the edge around the ceiling of the cold rom to allow a visual inspection of the space. 2 The junction between the sealed bulkheads in order to provide sufficient air pressure. 3 Powerful fans are positioned in strategic places on top of the room in order to allow optimal air circulation. 1 Perforated moldings (provided by Norbec) are strategically positioned to direct the air outlet. 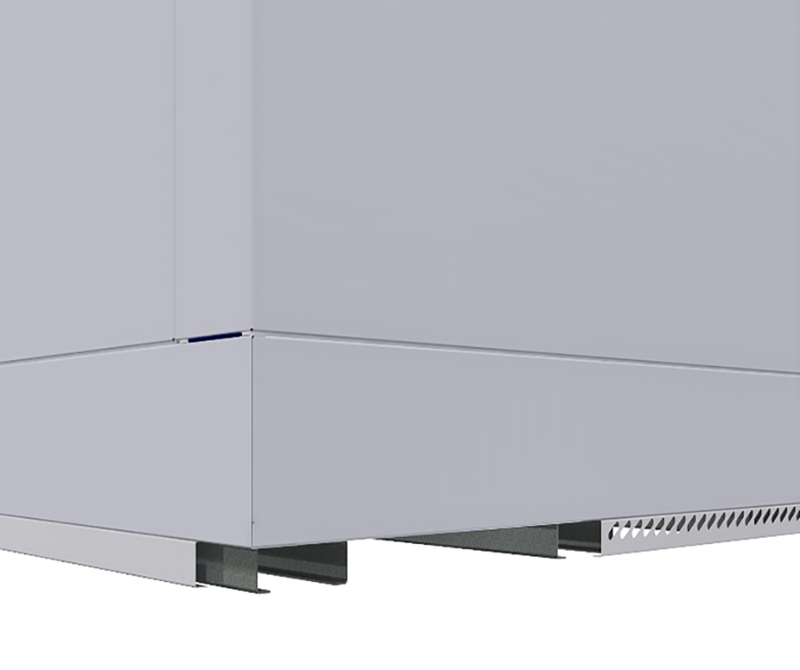 2 Solid moldings (provided by Norbec) are strategically positioned to direct the air outlet. 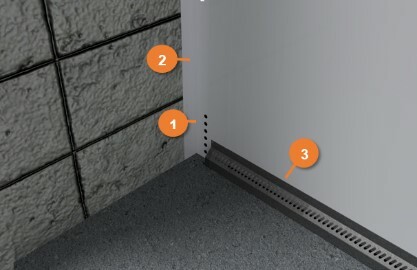 3 Perforated moldings (provided by Norbec) are positioned at the floor junction to ensure adequate ventilation.